Start Here — danielle & co. I'm Dani, a watercolor artist & illustrator who loves to spend a long Saturday painting & listening to podcasts. Writing & sharing with others is also my jam, so I encourage artists, makers & creative types to build their brand online. I'm so excited to get to know you! First, let's cover the basics. I have a BFA in Drawing from the Milwaukee Institute of Art & Design, and weird bonus - I also have a Master of Science degree in College Administration from Oregon State University. I started Danielle & Co. in the fall of 2015 to challenge myself creatively and actively participate in the vibrant, beautiful online art community I gain so much from everyday. Living in upstate New York, I’m knitting to keep warm and spending time with my husband, two kids, and Lucy the Cat. As an artist, I focus on watercolor painting and illustration as well as pattern design. The goal is to create high-quality gifts perfect for the fun, quirky people in your life. 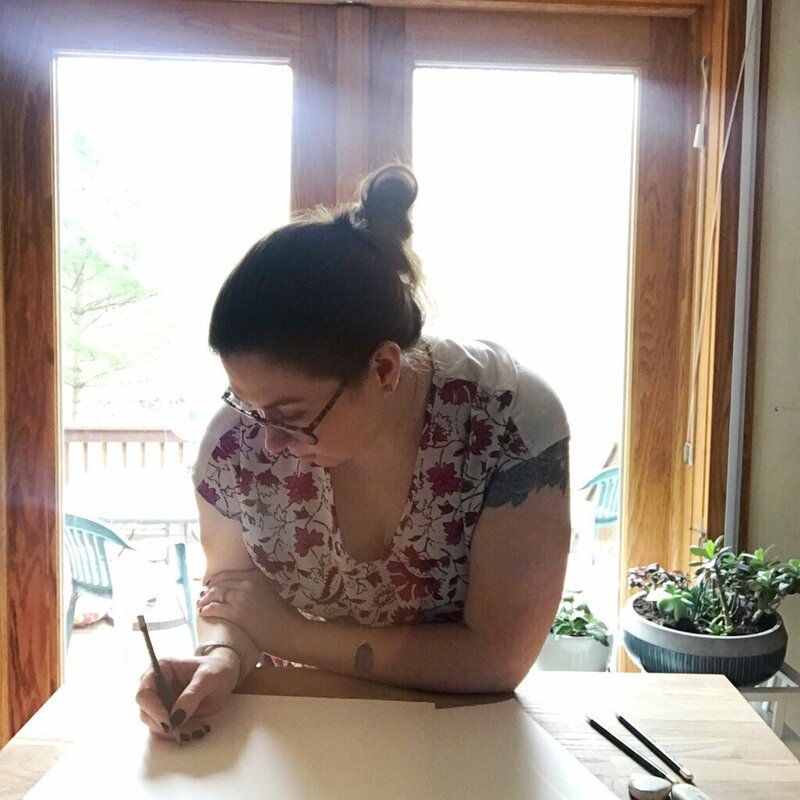 As a creative entrepreneur, I create content focused on tips, guides, and tutorials for other fine artists, designers, and makers to motivate them learn alongside me and make the most out of their online business. I'm always adding new items to the Print Shop. I'm also building my collection of textile patterns on Spoonflower. Follow along with @danielleandcopaints on Instagram & my Facebook page - and make sure to introduce yourself in the comments, I'd love to get to know you better! Step 4: Feeling extra quirky?